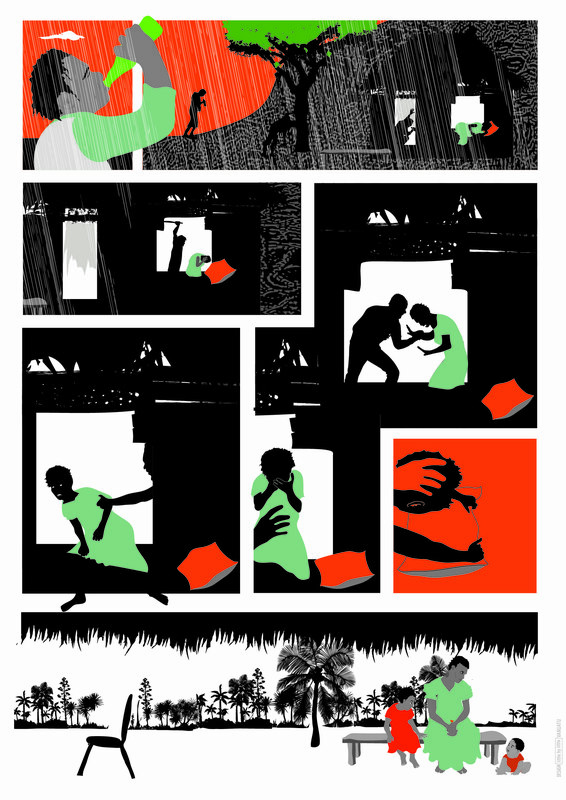 Addressing Domestic Violence in a wordless sequenced graphic form allows the members of the Community, women, men and children to identify with the characters and the facilitators to adapt their counselling according to the needs of the Communities. Pacific region has a very large number of languages and Domestic violence needs. Because they are WORDLESS, these visuals ask for the voices to be heard, stories told, thoughts and pains shared, that is why this is a powerful tool to SPEAK OUT. Extracts from “Mary & Sarah” a graphic Novel for development written by Doctor Raul Schneider WorldVision Pacific / Timor Leste. 2019 / Julie Saw / Littlebylittle Studio for the art direction & illustrations.